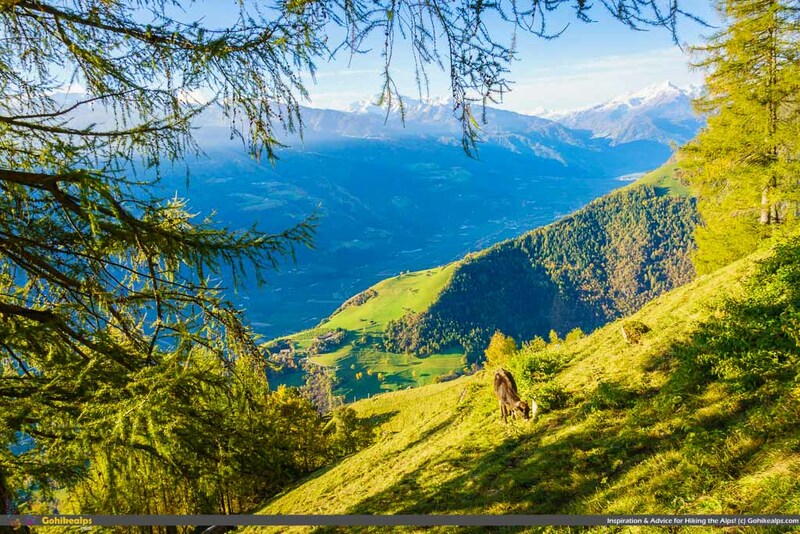 The Meraner Höhenweg, or Alta via di Merano in Italian, is a relatively easy and beautiful circular trail that will take you around the Texelgruppe National park (Parco Naturale Gruppo di Tessa). It mostly is a gentle walk but on the north side it has a high mountain stretch reaching up to almost 3000 meters. Access is easy and public transportation is available to and from Merano. There are several access points to get on the trail. Along the route there are a lot of places where you can stop for a quick bite, drink something or to sleep. Fly to: Bergamo, Verona, Venezia, Treviso in Italy or Innsbruck in Austria – or Munich International in Germany. Rated as a medium difficulty route. The North Side is more challenging than the south due to a high alpine stretch. The Meraner Höhenweg Alta Via di Merano – was opened in 1985, the idea of Helmuth Ellmenreich who was chairman of the AVS (Alpenverein / Alpine Club-Südtirol) from 1962 to 1997. It is considered one of the most beautiful treks in the Alps. With so much beauty in the Alps it’s hard to rank trails based on beauty alone but I do agree. the South route, that starts from Ulfas and rounds up back to Katharinaberg (Santa Catarina). If the weather is good, the scenery is truly breathtaking and you can see the Dolomites, the Brenta and Ortles massifs. When you are on the trail, you are on a natural balcony facing the Merano basin, the Venosta and Passiria valleys. on the north side you get to see the Ötztaler Alpen (Alpi Venoste) among other mountains. There are several “masi” (Alpine farmstead) on the route or just nearby, and a lot of them can be reached by car or cable car. The trail is not hard but since it reaches almost 3000 meters (~9850 ft.) of altitude on the North side, it is very important to be used to hiking at high altitude and be physically fit. Since the route was created putting together several mountains trails that had been used for centuries, the walking terrain changes a lot from very easy to steep and demanding in some places. The South side is easier and runs lower than the north side. In fact, the only real high alpine part is on the north side when you cross over from Val di Fosso to Pfelderertal. 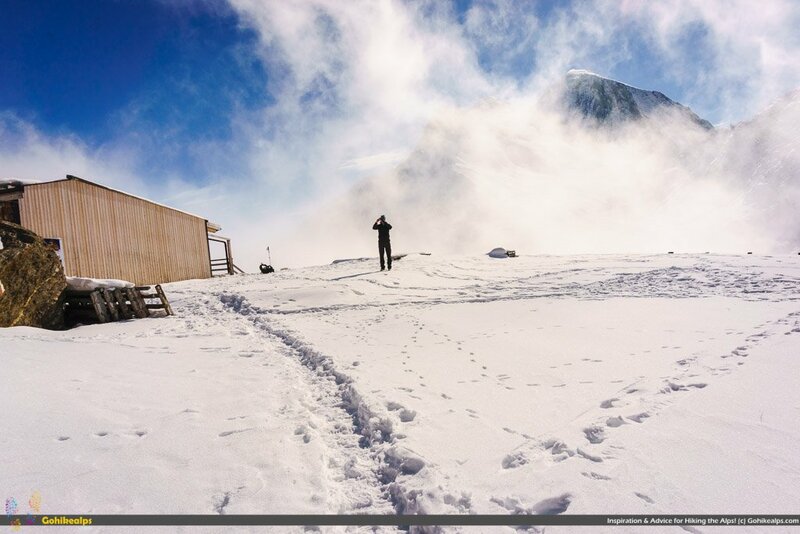 At the highest part lies Stettiner Hütte (Rifugio Francesco Petrarca) which, at the time of writing this is closed because it was hit by an avalanche and is undergoing repairs. This makes the crossing a long day. If you’re considering going with kids, the south part is no problem. However, considering the above, I am hesitant to recommend the north part unless you know you’re kids are up to it. At least until Stettiner Hütte is back in business. How Many Days and When to go? The time estimate needed for the route is between 5 to 8 days. If you are fit, experienced and willing to push a bit harder, it can be done in less. Thus, walking hours per day can vary between 2.5 and 8.5 hours based on your choices. I walked very comfortably from Naturno (top of the lift) to St. Martin in 3 days. That’s maybe a little less than 3/4 of the entire route, so could have squeezed it into 4 days. At that pace 5 days would have been plenty. The best season for this trek is from the end of June until October, depending on how much snow there is on the highest part of the mountains. I walked at the very end of October. As you can see from the picture above, there was snow on the North side, as well as some icy sections further below. On the South side, on the other hand, it was chilly in the morning but there were still leaves in the trees. Beautiful foliage, actually. Along the route you will find stairs, steps and bolts. Some exposed sections of the trail have been equipped with fixed chains for safety, but again – this is, overall, a fairly easy route. If you have some time to spare, I suggest you spend at least one night in this elegant small town. 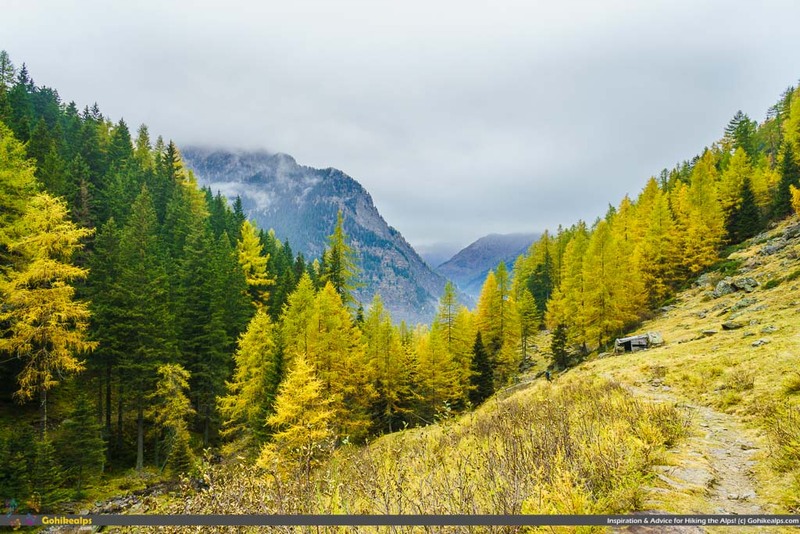 Placed in a natural basin where three valleys meet (Val Passiria, Val Venosta and Val d’Adige) it enjoys a temperate climate, allowing palm trees, olive trees and even cypresses to grow. It is the second biggest town in the region with almost 40.000 inhabitants. There’s excellent restaurants and the region is very well known for its wines as well, and rightly so. I recommend trying a nice local Lagrein! There is also a very nice spa (www.termemerano.it) where you can relax after your days in the mountains. If you’ve been on this site before, you may have noticed my preference for Munich International airport. It is quite far away (about 350 kilometers or 220 miles) but has excellent international connections and other advantages. I drove from there to Meran and it took about 4½ hours. Obviously trains run from there, too. Also Innsbruck airport in Austria is a viable option. Not as well internationally connected as Munich but much closer. From any of the airports mentioned you can take a bus or taxi to the nearest train station and then get a train to Merano. Check www.trenitalia.com for schedules and prices, or bahn.com for trains from Munich. Here’s a 7 day itinerary for the Meraner Höhenweg that starts at Hochmut, right above Merano. Like mentioned above, depending on your fitness an ambitions, many other variants are possible between 5 and 8 days. There’s good and detailed information (in German) on the Official Meraner Höhenweg website. Please note that Stettiner Hütte (Rifugio Petrarca), just under the highest point of the trail at Passo Gelato (2895 meters), has been hit by an avalanche in the winter of 2014. It is undergoing reconstruction and at the time of writing this, it is possible to stop to eat or drink your own food in a small hut, but NOT to sleep. If you think you’ve earned a hotel night with a sauna option, I can recommend Pfeldererhof. The Meraner Höhenweg / Alta Via di Merano will take you into the beautiful Texelgruppe. I big portion of the trek will be inside the Texelgruppe National park – rich with plants, flowers and animals. If you are passionate about these, you have another reason not to miss this experience. Cell phones according to my experience generally work but in places the connection can be patchy at best. This is especially true in the more remote areas on the north side of the circuit between Katharinaberg and Pfelders. English is spoken in most places. Otherwise people speak German, the local language called Ladin, or Italian. You need a map. I recommend getting one beforehand for planning. Don’t go, if you don’t have one! If you don’t get them beforehand, get them at Merano. You can’t expect to be able to find them once on the trail. Make sure you have the necessary gear for a Multi-Day Alpine hike. Check out the Gohikealps Packing Guide, sign up and download our printable checklist for reference. I recommend booking a hotel in Merano before you go, if that’s where you are going to start. Get a good night sleep before you go. 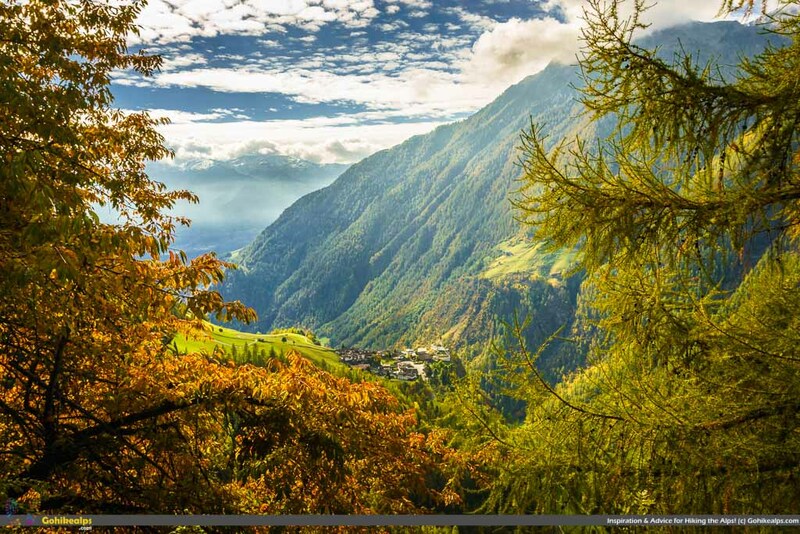 The Meraner Höhenweg / Alta Via di Merano is well known and quite popular, so it is easy to find online material. However, a lot of the material is in Italian or German – some in English, too. I wanted to do an extended weekend trek somewhere I had not been before very late in the season. That is, late October. The problem at this time is that most places in Austria, for example, are already closed due to the upcoming winter. I talked about my desires over a glass of wine at the Memminger Hütte on the Lechtaler Höhenweg and somebody suggested I should check out the Texelgruppe and Meraner Höhenweg. I’m glad I did, the trip was totally worth it. I was lucky with good weather and at that time of year, nobody was there so me and my friend pretty much had the mountains to ourselves! I will write up my personal experience on this site – do sign up for updates to get notice when I get around to it! Share. If you think this is interesting to people you know, share. Use the sharing buttons or just send a link. Use any of the links or advertisements on this site to purchase the things you need for this trek. There’s no cost to you but Gohikealps will earn a small commission. It goes a long way to pay for the costs of running the site. Give feedback. How can we improve? Any particular area you would like us to cover? Thanks for reading, happy hiking ! PreviousSt. 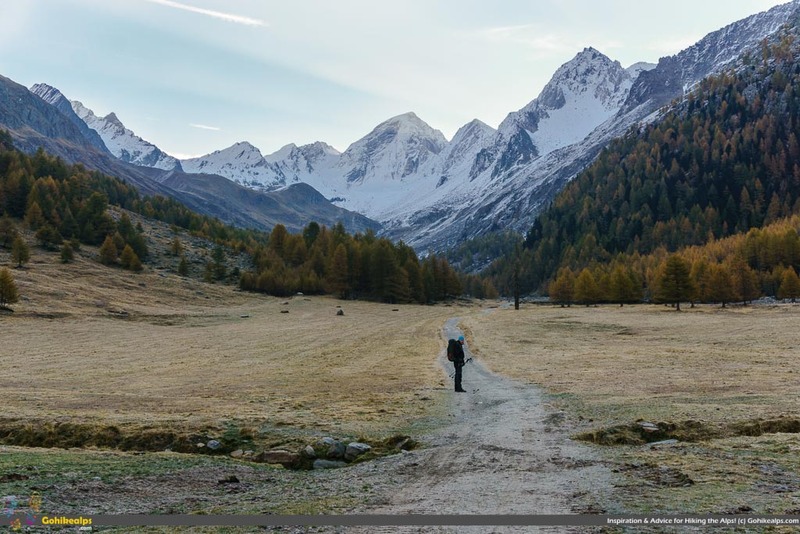 Anton am Arlberg – Basecamp for Vorarlberg Hiking!